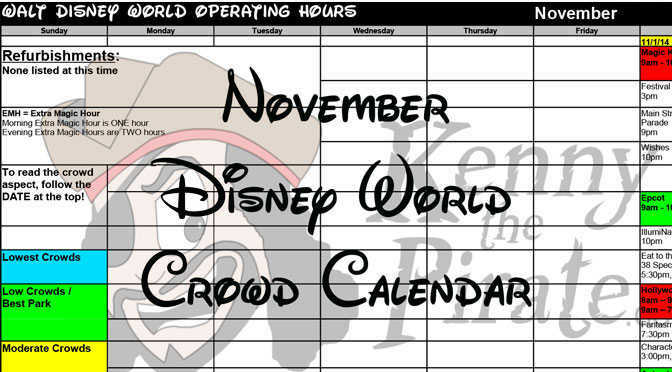 Just a quick note to let you know that Animal Kingdom has extended park hours for the entire month of November. Formerly the park hours were 9am to 5pm. Animal Kingdom will now close at 6pm nightly. It’s still possible that hours could extend again before November. You’ll find the updated hours on my November 2016 Crowd Calendar. Enjoy your time in the parks! I keep getting unsubscribed from this site for some reason. Why does that keep happening to me? I have a slightly off topic question. If we are going to the Christmas party on November 13th, do you recommend the Holiday wishes dessert party or will it waste too much of our party time? Was leaning that way myself! Thanks for the input. Thank you Kenny! Wondering if Jersey Week will have AK after dark hrs.?! Or DHS SW fireworks show? Waiting on some news about both!